Grade 303 Round Bar is available in the following sizes. Grade 304/304H Round Bar is available in the following sizes. Grade 304L Round Bar is available in the following sizes. Grade 304L PD Round Bar is available in the following sizes. Grade 316L Round Bar is available in the following sizes. Grade 316L PD Round Bar is available in the following sizes. Grade 316/316H Round Bar is available in the following sizes. 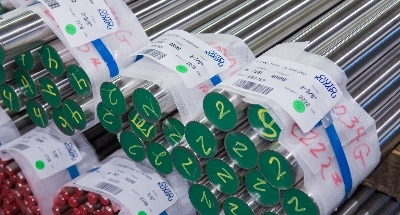 Grade 321/321H Round Bar is available in the following sizes. 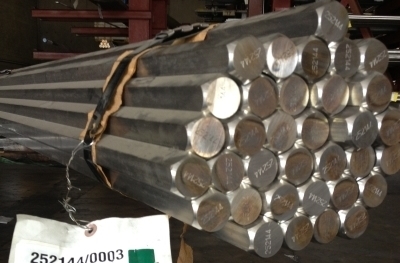 Grade 321/321H PD Round Bar is available in the following sizes. Grade 347/347H Round Bar is available in the following sizes. Grade 303 Hexagon is available in the following sizes: 1/4" – 2 1/2". Grade 304D Hexagon is available in the following sizes: 1/4" – 3". Grade 316D Hexagon is available in the following sizes: 1/4" – 3". Grade 303 Square is available in the following sizes: 1/4" – 3". Grade 304D Square is available in the following sizes: 1/4" – 3". Grade 316D Square is available in the following sizes: 1/4" – 3".